A US man has been awarded a patent on a way to tell if a coin is counterfeit, simply by looking at the pattern of damage though wear and tear. The patent – awarded to IP attorney Christopher Rourk of Dallas lawfirm Jackson Walker LLP, covers the use of surface and edge imaging data that could be automated to provide a rapid means of detecting fake coins, particularly those that are purported to be ancient. 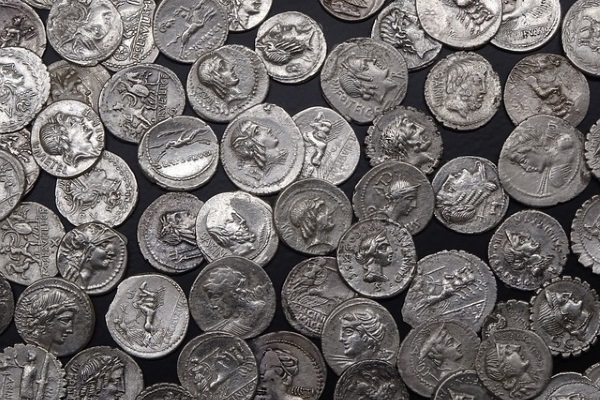 The technique involves developing a database of the environmental damage that occurs during the lifetime of authentic coins, including mint defects, oxidation, and pitting, for example. This could be compared with the defects present on a sample coin to see if the pattern confirms to the database, serving as an initial screen to see if it is authentic, asserts the patent. The technique could be used for example to detect when someone has copied an authentic coin down to the last detail – including defects – as the too-close match would reveal the counterfeit. Modern forgeries may also be made from materials that age differently from authentic coins, says the patent.